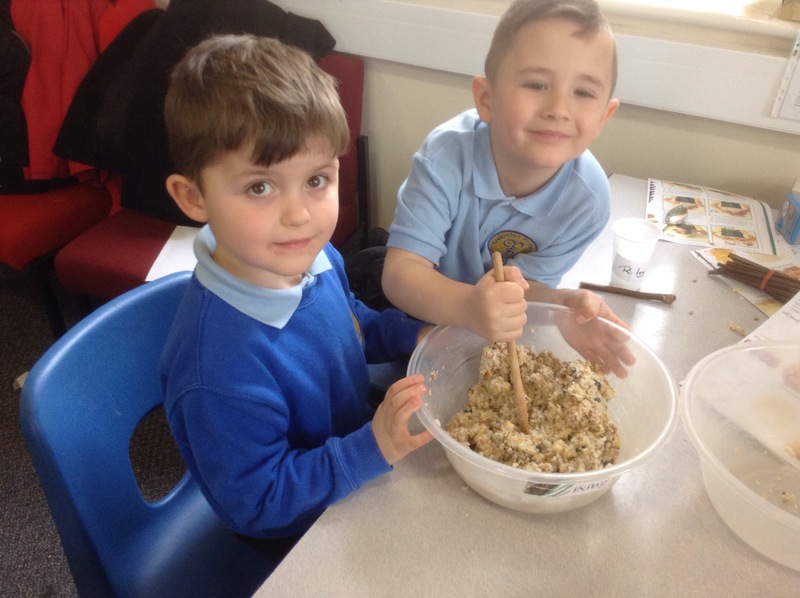 Learning and growing together, being our best forever! 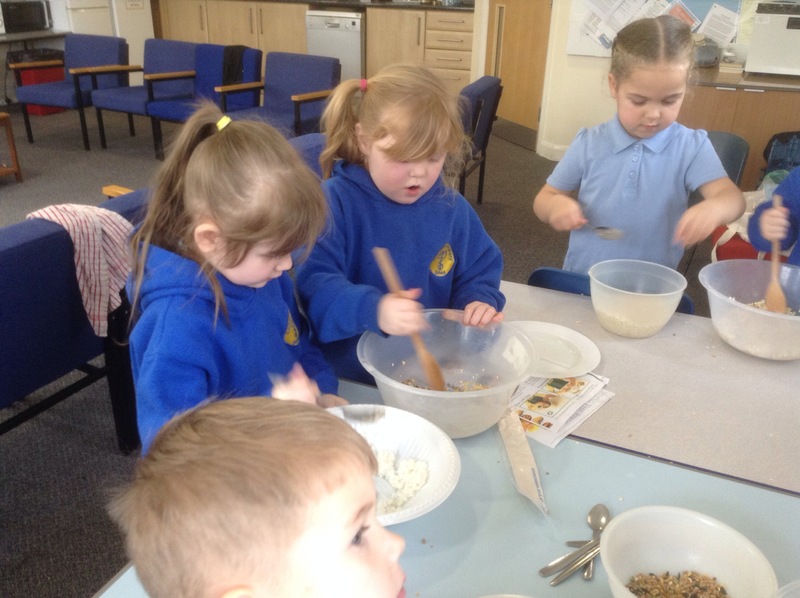 In particular they thought about birds that visit their gardens. 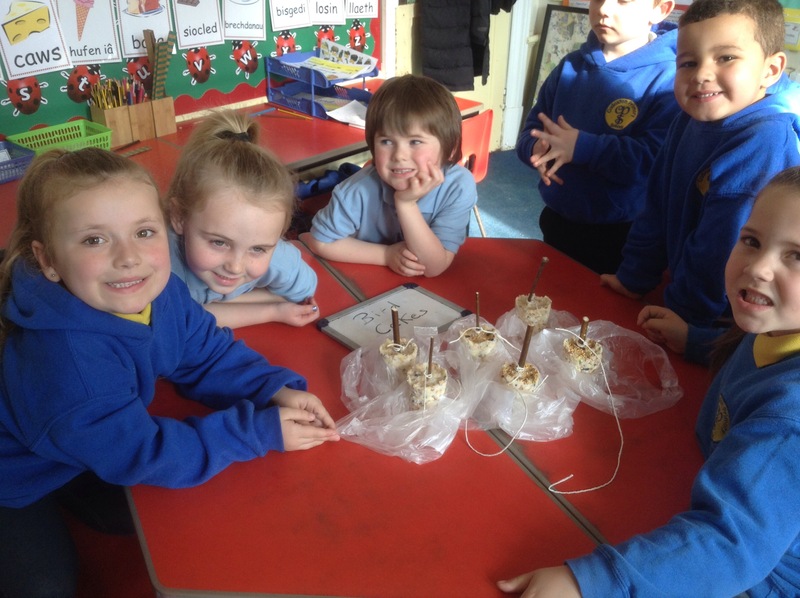 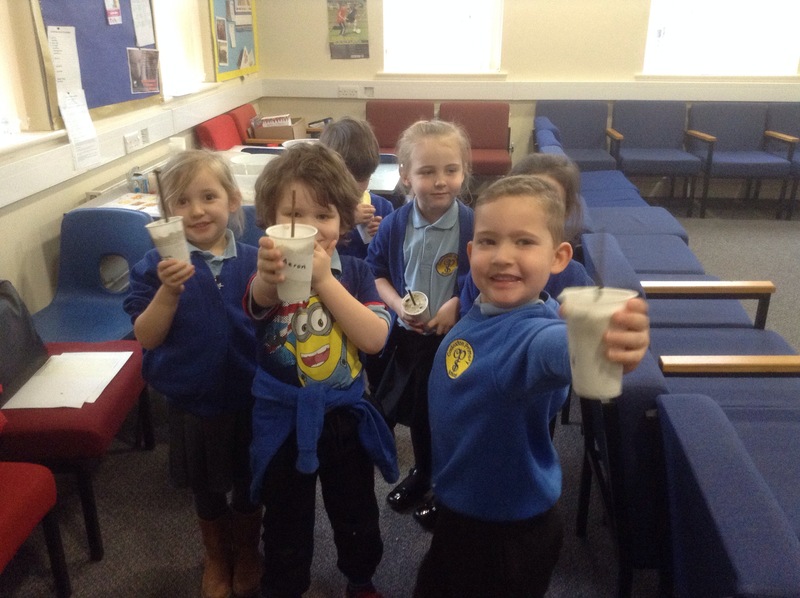 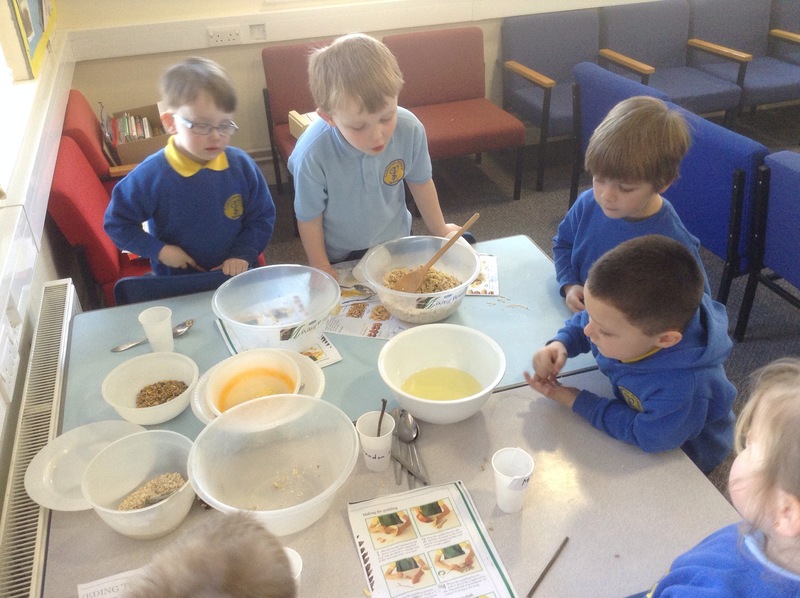 They used oats, rice, cheese, seed and lard, which they had to melt and see change from solid to liquid and back again. 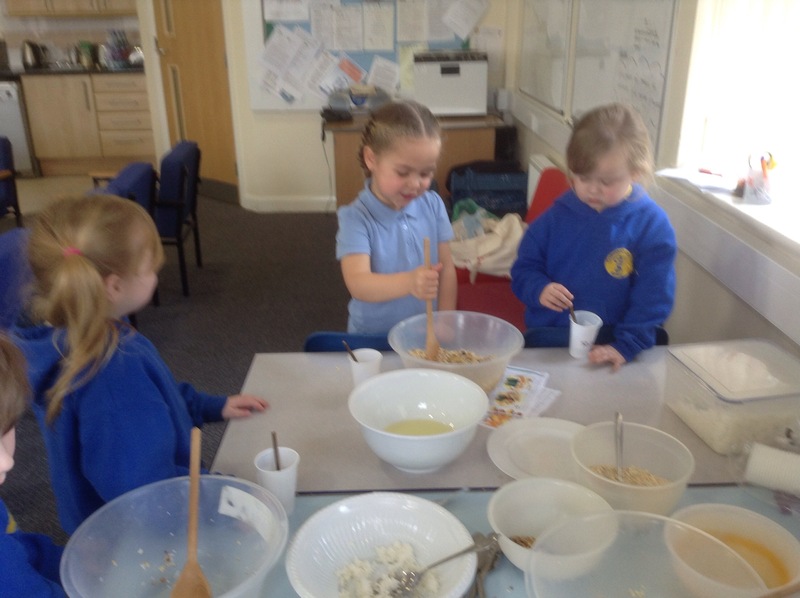 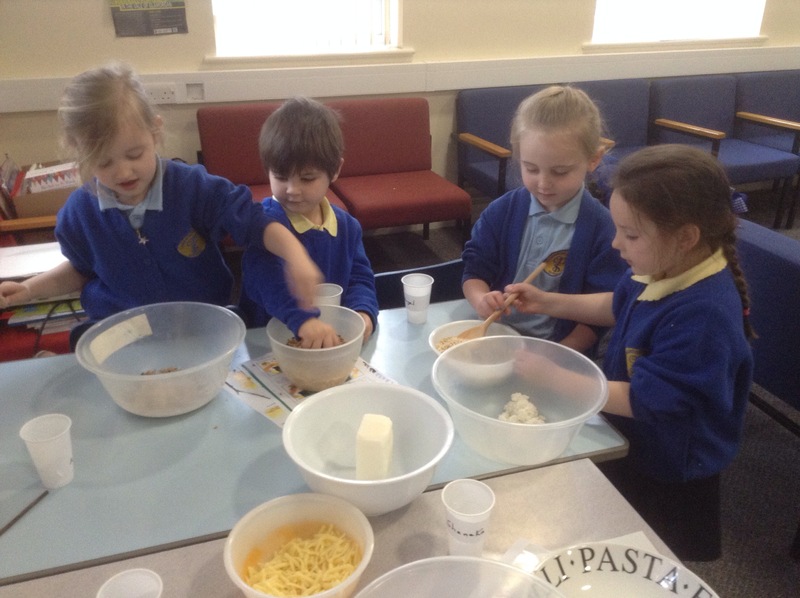 All the children worked together in groups to make their cakes.